Almost half of the people around the world live in a house where there are frequent tap leakage or drainage issues. The main reason for major leakage problems is lack of awareness among the house owners. They do not know when to hire the plumbing professionals for the leakage problem. The first mistake done by the customers is that they ought to involve in repairing the leakage taps. It increases the level of difficulty in repairing. Let us discuss the times when to hire the professional plumbing services. Knowing when to hire the professionals can restrict you from involving many problems. Some people without having experience try to make over the problem ending up with the one crucial than before. Few unknown facts about plumbing known by the people in order to handle some weird tap issues. First, the low-pressure water system is due to the debris present at the home. When you ought to face such low-pressure water system, then it is essential to hire the professional plumbers from trust able sources like Plumbers in Clifton NJ. They may help you to solve the low-pressure water supply problem. Sometimes, the city supply may be slow. Therefore, after analyzing the reason, you can call in for the plumbers. The water heater is one of the essential things during the winter season. When you wish to go out early in the morning, the warm bath may make you keep your day fresh. If you face any issues in the water heater like the supply of water issue or loose connections, it is necessary to hire the plumbing services online. 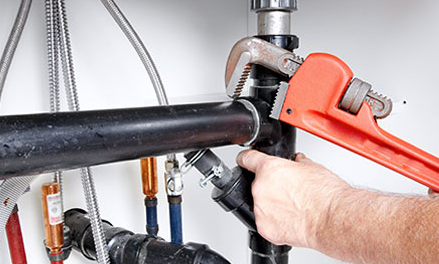 An experienced plumber can carry out the issues and correct it up within few seconds. You might have experience circumstances where the sewer line fails to back you up. It may be due to the connection troubles. Here is the way to solve the problems. You can hire the plumber from Plumber Bloomfield site, who can fix up your problems without any repair in future. During the severe winter season, you can notice the tap freeze. Even the water lines have damaged due to the ferocious cold wind. It may be due to the burst of the line connections and poor water supply. In that case, you should hire the plumber from the experienced site and thereby make your problem solved.